Lakeland Forgery Defense Attorney - Lawyer, Providing Professional Forgery Criminal Defense Attorney legal services for Lakeland, Winter Haven, Bartow, Polk County, and the surrounding Central Florida area. Call 863.660.2185 to Speak with Lakeland Forgery Criminal Defense Attorney / Lawyer, Joshua E. Schoen. Forgery is a crime in which someone falsifies something with the intent to deceive. There are a number of different kinds of forgery ranging from counterfeiting, signing another person's signature on an official document or check, to art forgery. All forms of forgery are treated as serious crimes under the law. In some instances, forgery is severely punished, especially in the case of counterfeiting. The burden of proof lies in proving beyond a reasonable doubt that the accused committed the act of forgery. 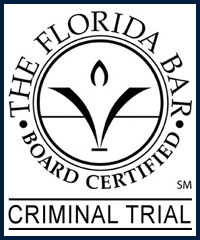 The burden includes proving the "essential" or "substantive" elements of the criminal offense of forgery. Protect your rights by seeking the legal advice and representation of an experienced Lakeland Forgery Criminal Defense Attorney / Lawyer. Contact Lakeland Forgery Criminal Defense Attorney / Lawyer Joshua E. Schoen at 863.660.2185 in the Lakeland, Winter Haven, Bartow, Polk County, and the surrounding Central Florida area.